Friday Fling Teaser - Neighbor Gardens! Do you ever wish your neighbors were as passionate about gardening as you are? 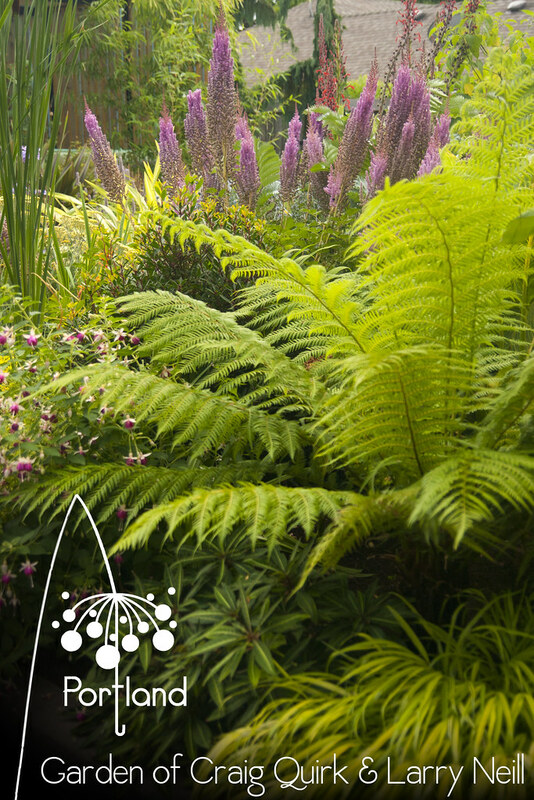 During the Fling we’ll visit the adjoining gardens of Joanne Fuller & Linda Ernst*. The beautiful doorway in the middle photo creates an open passageway between their two gardens, each with their own distinctive personality. 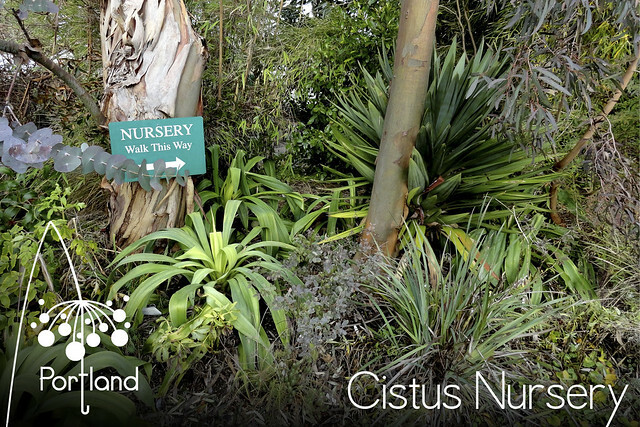 Fling Teaser - Cistus Nursery! Located on scenic Sauvie Island, Cistus Nursery* offers an eclectic collection of Mediterranean climate, southern hemisphere, hardy tropical plants, a mature display garden in which to wander, and best of all…shipping for your plant purchases! Monday Fling Teaser - Chickadee Gardens! 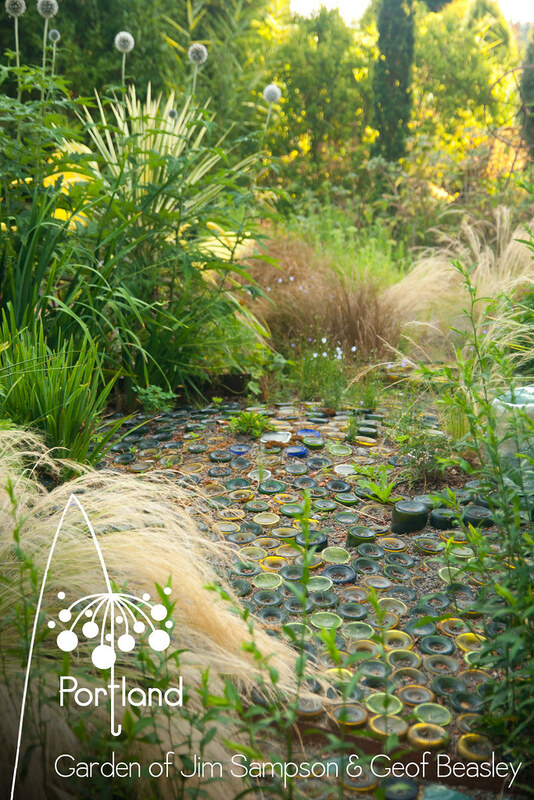 Tamara Paulat has created a beautiful garden that is welcoming for humans and wildlife alike. 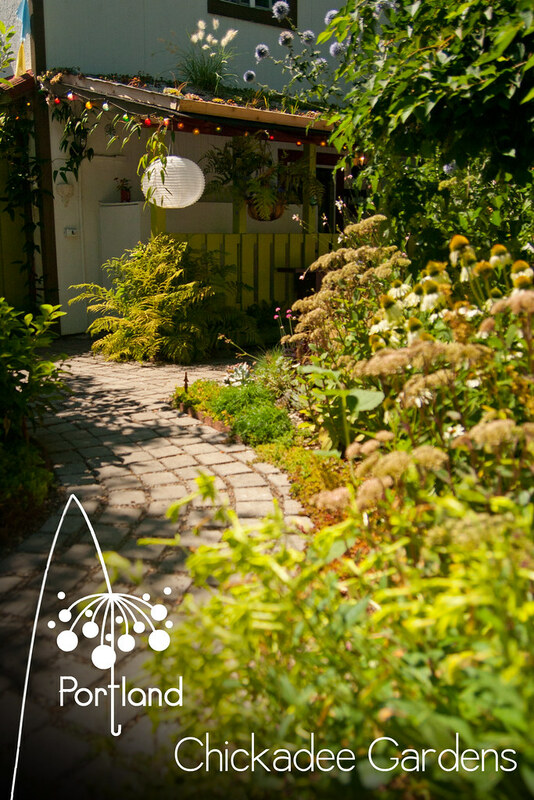 Her small urban garden is certified under Portland’s Backyard Habitat Program and, yes, those are plants on that roof! Friday Fling Teaser - danger garden! Not all the gardens we’ll be visiting are large. One of the smaller ones features more agaves, and other spiky plants, than you thought probably possible in “rainy” Portland. 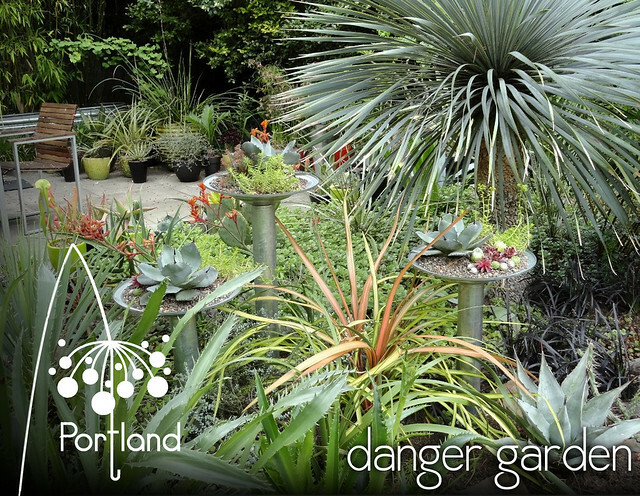 Yes, the Fling itinerary will include a stop at the danger garden. Portland Fling Teaser - Joy Creek Nursery! Portland Fling Teaser - Floramagoria! Happy Monday, everyone...today we get a sneak peak at the lavish, over-the-top Floramagoria...the delightful garden of Craig Quirk & Larry Neill. Happy Friday, everyone! 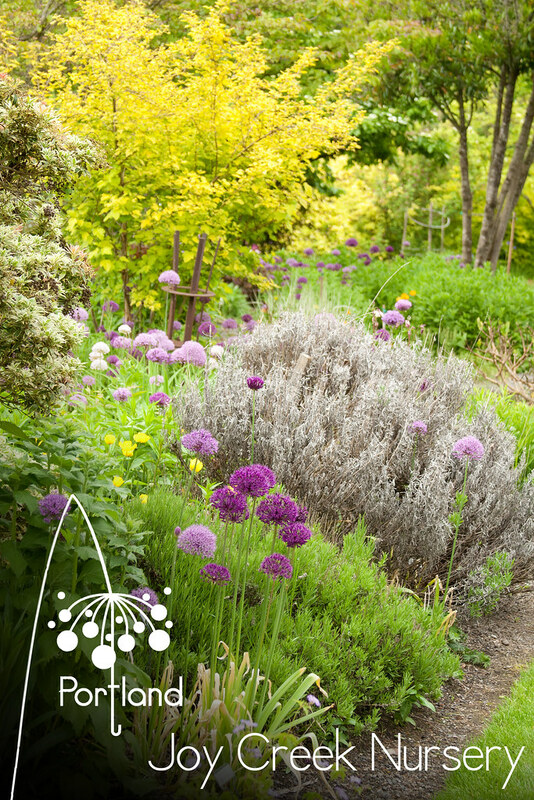 Today's teaser is from the beautiful hillside garden of Maryellen McCulloch*, which marries a subtle, sophisticated palette of plants with crisp, elegant hardscaping. And, of course, a million-dollar view to the Tualatin Valley! How about another teaser image...today's teaser is from Bella Madrona*...what do you think about that rad path!?! Want to host the Fling? Here's how. Do you dream of bringing garden bloggers to your hometown? 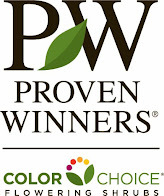 Showing off beautiful private and public gardens in your area? 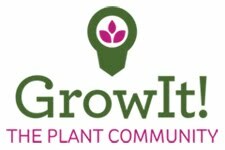 Introducing enthusiastic gardeners from all over the world to your unique region? Being a booster for your city by bringing in 80-100 garden bloggers for a weekend of tours, socializing, and fun? If so, the Fling Advisory Committee invites you to submit a proposal to host the Garden Bloggers Fling. Any potential host must have attended at least one previous Garden Bloggers Fling. The advisory committee accepts proposals each year between approximately February and July. Stay tuned to this blog or our Facebook page for information about when proposals are being accepted. Your proposal should address the following in as much detail as possible. 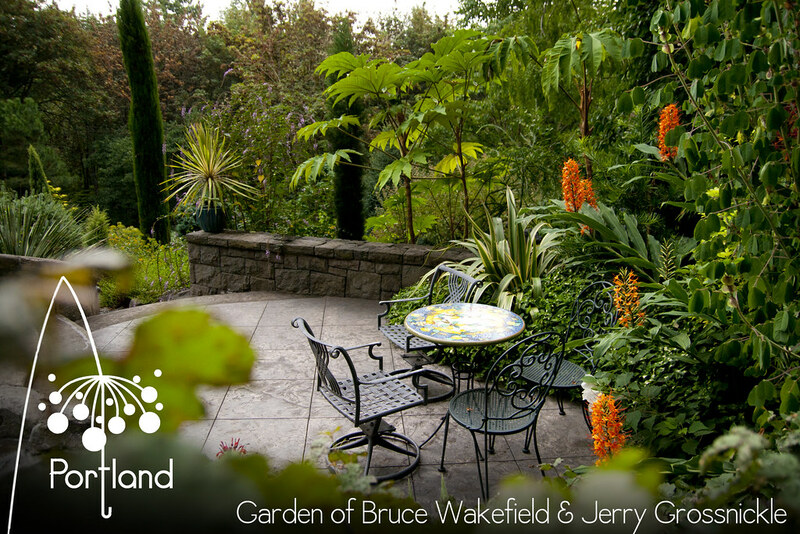 While we don't expect you to know exactly which private gardens you'd include at this point, we do want to hear about public gardens, nursery visits, likely hotel location, and other details about the gardening and cultural scenes and natural attractions of your city. Please include as much detail as possible, as well as pictures. We want to know what makes your city a good destination for the Fling! Please address each section below as much as possible in your proposal. We do not expect you to lock down all the details in your proposal, but we want to know that you've thought about them. The Fling is held on a 3-day weekend, either Friday-Sunday or Saturday-Monday, with a kickoff get-together/happy hour the evening before the official start. Time of year is up to the local hosting committee, depending on when gardens are at their peak and the weather is pleasant. Late spring through early autumn is ideal. In the South/Southwest, preference would be for a spring or fall date. Major holidays should be avoided, and hosts will want to make sure other major events in the host city will not make traffic or finding lodging difficult. Arrange a group rate at a hotel that has a restaurant or is near a few restaurants, preferably downtown. Assume that attendees will not have cars, so dining must be accessible on foot or via public transportation. Arrange at least one dinner as a group. This may be banquet or buffet style. An attempt should be made to express the culinary specialties of the region, as appropriate. The group dinner is an opportunity for attendees to socialize and for hosts to have giveaways of sponsor-donated items and to thank sponsors. Arrange for box lunches and beverages on tour days, and plan where attendees can sit and eat. Private garden tours are the highlight of the Fling. Include at least 4 private gardens but preferably more. A range of styles and sizes is ideal. You're looking for unique gardens with personality and beauty. If the gardens are small, plan to split the group between two buses, with the buses visiting each garden at different times. One or two public gardens, depending on your city's offerings. 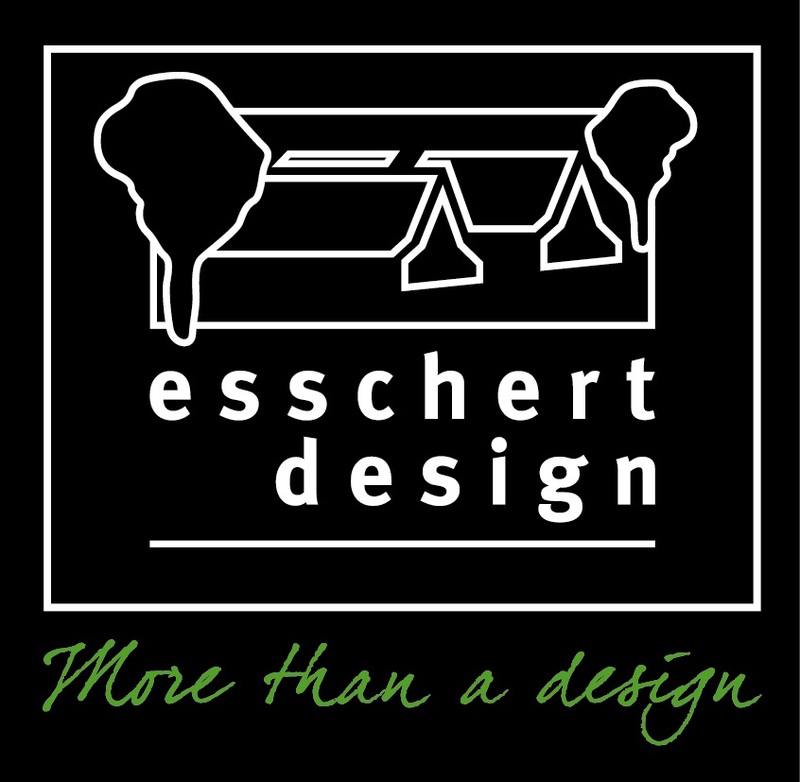 A unique or destination nursery/garden center, to give attendees a chance to buy plants and gifts. Optional: You may wish to include a community garden or demonstration garden. Charter two buses each day as necessary to accommodate attendees on the tours. Event liability insurance must be secured by the planners for the duration of the weekend's events. Arrange a kickoff get-together/happy hour the evening before the official start. Must include some kind of refreshments; need not be full dinner. Should be casual since not everyone will be in town in time for this event. Include a "welcome" announcement for first-timers to make newcomers feel welcome and a part of the group. Could include a meet-and-greet at the first-night get-together, a special symbol on their name tag, and/or assigning a "mentor." Arrange a group photo to be taken on a tour day when all or most of the group will be present (i.e., not a "shoulder" day). Announce the group photo on the itinerary, and share the photo on the official website. Provide a neck-wallet name tag for each attendee that includes full name, blog name, and city/state. Distribute these at the start of the Fling. Provide a pin-on, collectible button for each attendee that can be attached to the neck-wallet name tag. The design should specify Garden Bloggers Fling, the year, and the location. Specify time/location for a private, 1-hour meeting of the advisory committee and hosting committee. Set aside time in the schedule, notify the members of the meeting in advance, and arrange for a location for 8-12 people to meet. A small conference room in the hotel is ideal; a semi-private lounge or even someone's hotel room will do in a pinch. Regular updates and timely communication on the Fling's official website and on the Fling Facebook page is required, plus any additional means of publicizing that the planners wish. Design of a local Fling website button to share with bloggers (an example). This can be very simple if desired. Compilation of bloggers' posts about the Fling on the official website. Make every effort to gather attendees' links after the Fling and post them to one wrap-up post (an example). This makes it easy for attendees to find each others' posts and for sponsors and garden hosts to find posts about them too. Special consideration will be given to any city/region that has not previously hosted a Fling. (See this page for previous host cities.) We especially encourage proposals from the U.S. Midwest, Mountain West, Southwest, and Southeast. Contact committee member Pam Penick for any other questions about hosting the Fling or submitting a proposal. We welcome your interest in hosting the Garden Bloggers Fling and look forward to considering your proposal! Read on for hosting requirements. The Fling is hosted and led by private garden bloggers. Bloggers who blog primarily for a business, nursery, public garden, or any other for-profit or nonprofit entity are not eligible to lead the planning for a Fling, although they may help with planning a sponsored event. They are also welcome to attend the Fling. The head planner must have attended at least one previous Garden Bloggers Fling. A team of at least two area garden bloggers is recommended. Additional bloggers may be part of the planning team, if desired, and bloggers from other regions who help remotely are also allowed. The team must be led by a local blogger from the host city. The planning team must be willing to work within the framework of prior Flings, per the specifications above. The planning team is required to share its planning data and financial numbers with the Advisory Committee upon request.